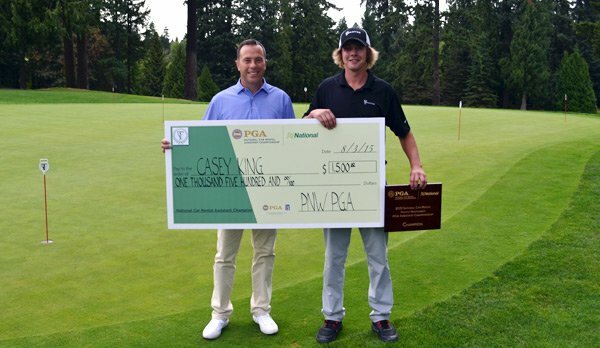 PGA Professional Casey King of Tokatee GC won the National Car Rental Assistant Championship by one stroke over PGA Professional John Cassidy of Alderbrook G&YC. King posted rounds of 70-69-139, 5-under par at Tualatin CC. All participants played 36 holes on Monday. Casey King, John Cassidy, Ryan Malby and Derek Barron all earned spots to the 2015 National Car Rental PGA Assistant National Championship on the Wanamaker Course at the PGA Golf Club in Port St. Lucie, Florida – October 29 – November 1, 2015. The 132-man field for this year’s 39th edition of the PGA Assistant Championship consists of the top-4 finishers from last year’s Championship, if eligible, as well assistant’s and apprentices from a weighted average of total entries of the 41 PGA Sections. 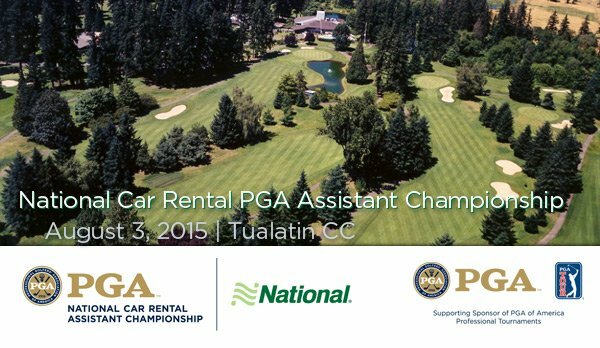 The winner of the 39th National Car Rental PGA Assistant Championship earns $9,000 out of a total purse of $100,000. The top-70 finishers and ties after the second round will make the cut. This year’s Assistant Championship marks the 39th Anniversary as a National event but the PNW Section has been conducting the event since Fred Pelzer donated the trophy in 1965. Since its inception in 1912, Tualatin Country Club has established a reputation as one of the finest country clubs in Oregon. The course is a Chandler Egan Design, defined by large Douglas fir trees, tight fairways and small greens. Located just few minutes south of Portland, Tualatin County Club offers a private picturesque setting. Head PGA Professional Sean Fredrickson is excited to host.